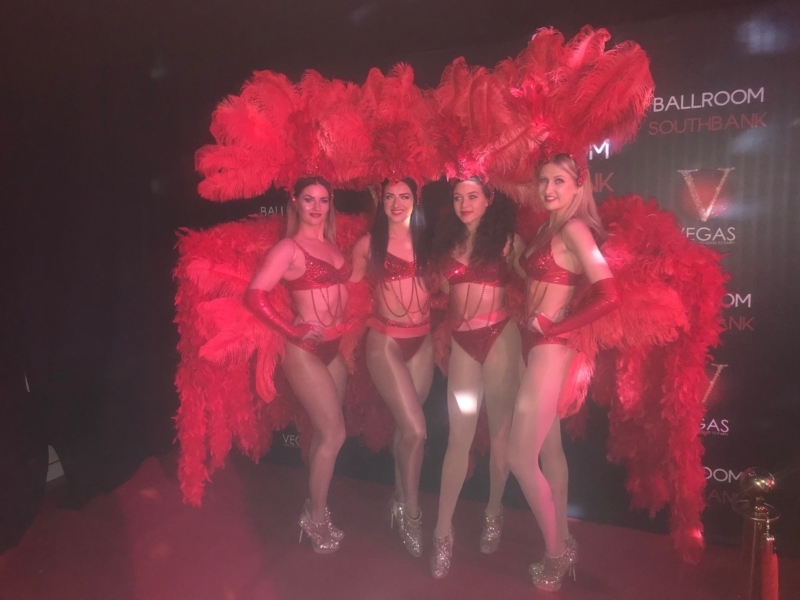 This weekend, United Productions brought Vegas Extravaganza to Southbank as we have opened up the first, of many, Vegas-themed shows, held at a prestigious venue in London’s Waterloo. United Productions provided four stunning showgirls, dancers, a number of cirque acts, choreography, styling, props and creative direction throughout. United Productions leading choreographer, Lyndon Lloyd created a bespoke routine with Jeannine Desmier assisting.